Cruising sloop designed by Holman & Pye ( British Naval architects ). Ideal cruising yacht with everything on board for a long passage. 400 litres plus watermaker producing 60 litres per hour. Vee berth up front that converts to a double bed. Saloon can sleep 4 all with lee cloth and aft cabin with double bed. One inside and a salt water outside. Has gas stove ( 2 burner with oven down the bottom ). Sink with pressurised water and pumped salt water. Microwave operated with genset ( 240 volts ). Big capacity fridge and freezer ( eutectic ) operated by 240 volts and shore power. 45kg plough anchor with 70 m galvanised chain and spare 40 kg anchor with chain & rope. Epirb, flares, 2 year old liferaft, harness, lifejackets. 7 - 12 volt batteries plus genset. HF with automatic tuner, VHF radio. Koden GPS, Koden Radar, Autohelm Chart plotter, Radio and cassette player. Wind, speed, depth on companionway with repeater at chart table. Autohelm ST 7000. 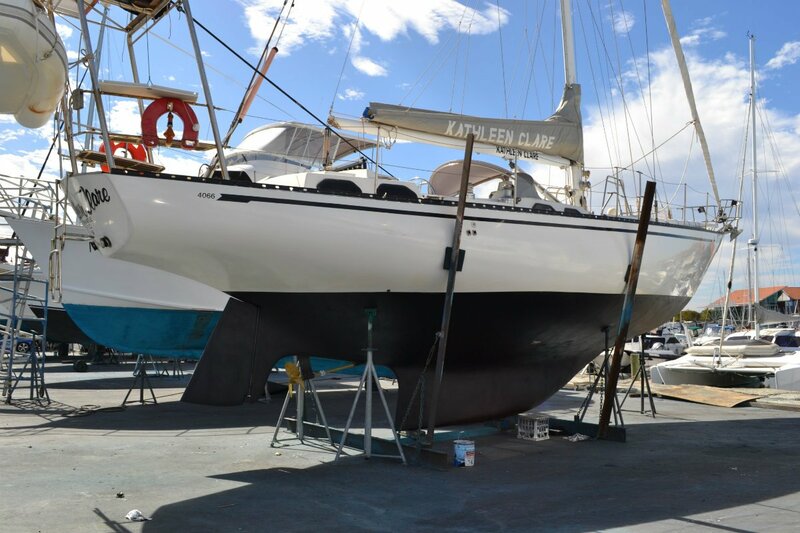 Main with 2 reefing points fully battened in lazyjack, jib on furler, storm sail on removable stay. Mps, spinnaker and storm main that can go on spare track on mast. White Aluminium mast with 2 spreaders. Stainless rigging. Hydraulic back stay. 2 spinnaker poles, Substantial stainless steel davit with 2 / 45W solar panels, radar dome, wind generator, 11 winches, Electric winch. New 12 volt TV in saloon and speakers.